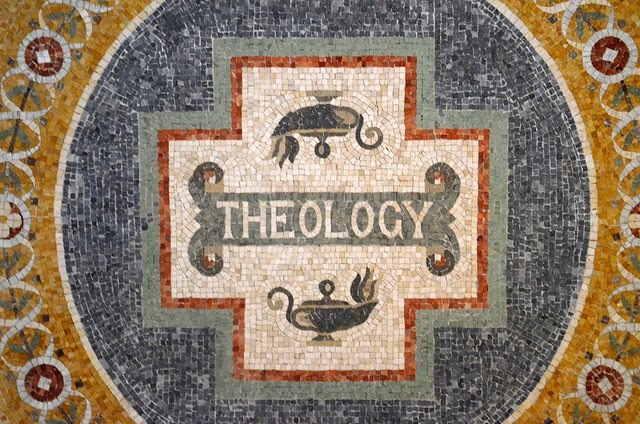 Theology represents an ancient area of human thought. Theology has been the subject of much bashing by neo-atheists over the past several years. A fresh blog post by Jerry Coyne today seems to encapsulate the essence of their grievance: theology is claimed to be a discipline with no subject of study. Correctly defining theology as "the study or science which treats of God, His nature and attributes, and His relationships with man and the universe," Coyne asks rhetorically: "What good is a discipline that tries to tell us about the qualities of a nonexistent object? It’s as useful as a bunch of scholars trying to tell us about the characteristics of the Loch Ness Monster, or Paul Bunyan." (the hyperlink is mine) Any counter-argument to this is delicate, since it necessarily requires defining the most overloaded word in the history of language — 'God' — in some particular way that many are bound to disagree with. Yet, there are some common attributes almost always associated with 'God,' and 'God' alone: omniscience, omnipresence, and omnipotence. Thus, it is fair to say that, if one can identify a subject of study for which there is concrete, objective evidence and which incorporates the three attributes just listed, then one will have debunked Coyne's argument against theology. This is precisely what I intend to do in this essay. But in order to make my argument, I first need to take you on a brief tour of a more parsimonious, logical way of interpreting the facts of reality than the materialist metaphysics entails. Bear with me. As our personal psyches are like whirlpools in a broader stream, so the broader stream itself is an impersonal form of consciousness that underlies all reality. Aldous Huxley ably called it 'mind-at-large,' a term that I will adopt from this point on. Now, for the same reason that the experiences of another person appear to us as a seemingly objective image — namely, an active brain — the seemingly objective world around us is the image of conscious experiences in mind-at-large. Moreover, for exactly the same reason that feeling love is completely different than watching the brain activity of someone in love, the first-person experience of mind-at-large will feel completely different than your watching the world around you right now. The world is the image of conscious experiences in mind-at-large, but mind-at-large doesn't experience the world the way we do, for the same reason that our volunteer inside the brain scanner doesn't experience patterns of firing neurons! The volunteer experiences love, not firing neurons. When we look at the world around us, we do see the footprints of conscious experience, but not the gait. And this is why theology not only has a concrete and worthy subject of study and speculation, but perhaps the ultimate one. Allow me to elaborate. There are different religions - and different theologies, so your thoughts may not apply to all theologies. For example, Christian theology has God outside the universe . . . in which case, nature/world is not an image God's mind-at-large. Are religious myths to be interpreted literally, or as symbols meant to speak to the deeper layers of the psyche? My point is that there are different theologies . . . and not all of them are compatible with God as Mind-At-Large, or specifically, the universe as God's nervous system. Maybe it's time for you to develop a theology! I think it would be possible to state your metaphysics as compatible with Christian metaphysics. What I meant is that incompatibilities between theologies are often only superficial, and conditioned on the theologies being interpreted in a rather narrow, naive, literal manner. Huxley, in 'The Perennial Philosophy,' shows the fundamental similarities between all theologies. Efforts around what is called 'The Primordial Tradition' indicate the same. And I do think my metaphysics is compatible with Christianity, if Christianity is interpreted in a deeper, symbolic manner. Thanks for commenting! Speaking of interpreting religions in a deeper symbolic manner, it would be interesting to see a post from you on bringing symbolic interpretation into - take a breath…. science! Alan Wallace and quite a few others focus on introspection as the basic tool for a non materialistic science (Wallace lays out quite nicely how to incorporate this with brain scans, statistics, neuropsychological testing and other traditional methodologies). Henri Bortoft and other students to Rudolf Steiner and Owen Barfield go one further, accepting introspection but adding qualitative methodologies to incorporate our qualitative experience of ourselves and the world. I've only seen a small handful (computer scientist John Davidson is one; Vedic scholar David Frawley is another) who have recommended incorporating symbolic "knowing" into science (Jung of course spoke of this but not in the context of integrating it with conventional scientific methods). I think with an idealist/non dualist framework (which Frawley and Davidson both espouse) an integration of all these methods would be possible - hi tech brain scans, quantitative and qualitative methods, disciplined yogic/contemplative introspection and symbolic awareness. Another way of putting "symbolic awareness" in more philosophic terms would be that knowing which sees the finite in light of the infinite. Mathematician/philosopher Franklin Merrell-Wolff refers to this knowing as “knowledge through identity” (Sri Aurobindo calls it “knowledge by identity – essentially the same thing – gnostic knowing, “consciring” or what the Zen folks call “prajna” – someone or other referred to it as hearing sermons in brooks and streams, but that may be too poetic for most scientists!). I’ve also posted a passage from Krishna Prem over at the forum on symbolic knowing. He ends with a comment on the Hermetic axiom, “As Above So Below.” In our yoga psychology book, we gathered a tremendous amount of research on consciousness in animals – from one celled organisms through primates, and on developmental psychology in humans, and showed, I think, that there is enough data about consciousness in plants, animals and human beings to connect this to the Hermetic axiom and start to integrate all these different methodologies – quantitative, qualitative, introspective and symbolic – to create a truly integral, non-materialistic scientific method. Don, I'm not sure about symbolic knowing in science. I don't think science should be a catch-all method to explore and understand everything and anything. It's well suited for researching, modelling, and predicting the patterns and regularities of empirical (i.e. objective, consensual) reality. But that's where I think it should stop, because its methods and values were conceived to do just that, and not more. Now, that doesn't mean that everything worth knowing is conducive to the methods of science. That's where philosophy and introspection (meditation) come in, and they should all complement one another, in my view. But science, I think, should stay focused on what it was conceived to do, and does very well: the researching and modelling the patterns and regularities of empirical reality, without further interpretation, metaphysics, ontology, etc. What would be the discipline that integrates empirical knowledge of, say, the brain, and intuitive (my preferred word for symbolic) understanding of, say, left-right hemisphere differences? This is exactly what Iain McGilchrist is doing in his 'Master and His Emissary", the result of his 20 year study of hemispheric differences, looking at over 2000 research studies, and resulting in the rather striking conversion - so to speak - of a number of neuroscientists who were passionately negative regarding the significance of hemispheric differences. In fact, almost the entirety of my discipline, clinical psychology - which as of this date, still considers itself an integration of empirical science and practical therapeutics - involves this kind of intuitive knowing, though because of materialist bias, is not usually recognized as such. Whether or not you agree that neuroscientists need to take this into account to understand the brain, certainly, in order to understand the personality, I would say it is almost meaningless without this kind of intuitive knowing. Virtually every classical civilization including this kind of intuition as part of their "science" - and in fact, all classical sciences were grounded in intuition. This is exactly what David Frawley is advocating in regard to all sciences. I'm happy to start with psychology, as that is my own discipline, and I can tell you, as it is, it's utterly meaningless. I was just reflecting on the most successful personality theory, the so called "big five". It originated from factor analysis, without any theory, rhyme or reason. Even its biggest advocates recognize this as a major flaw. But neuroscientists - like Richie Davidson - are doing the exact same thing. They think by accumulating enough data, they can make it "scientific". This is materialist, mindless nonsense. On the other hand, a simple intuitive grasp of the unfolding of consciousness in the universe tells us immediately that the human personality is a microcosm of the layers of consciousness which are reflections of Mind at Large. Virtually every aspect of human personality and development, emotion, cognition, executive functioning, psychopathology, etc makes complete and utter sense when viewed with this intuitive way of knowing. Psychiatrists Dan Siegel and David Daniels (of UCLA and Stanford, respectively) are already teaming up to look at the relationship between a wholly symbolic system, the Enneagram, neuroscientific studies of the brain, and psychological studies of attachment styles. So it’s already being done, it’s only a matter of whether the idealists/nondualists are going to keep track of it and examine it with an open mind. I do think that perhaps the word "symbol" was misleading. If you ever get a chance, look at nuclear physicist Arthur Zajonc's extensive writings on intuition in science. He actually teaches contemplative inquiry in the context of physics chemistry and other natural sciences. he advocates a non materialist view and considers intuition to be rightly the basis of all scientific inquiry. For me, "symbolic" perception and intuition both involve seeing finite appearances in relation to (not quite the right phrase) the Infinite. To use Chopra's work as an example, Ayurveda and Vedic astrology are both symbolic sciences. If we integrated them with modern medicine and cosmology, we'd have that integration of quantitative, qualititavie and (if you prefer) intuitive methodologies i was referring to. This is exactly what Zajonc is talking about. the late William Braude worked for several decades specifically on developing intuition as a methodology in psychology (he worked as a professor). He cited my writing on intuition in a wonderful article posted at www.ipi.org.in on intuition and scientific methodology. As I wrote earlier, there is a tremendous amount of work in this area, and all the evidence I see is that over the next century, science will be moving more and more in this direction. In fact, Zajonc makes an excellent case that virtually all thinking - which means, all scientific theorizing, hypothesizing, etc has intuition at its base. And by "intuition" he does't mean the "rapid action of the reasoning mind" which is all that materialists seem to understand of it, but rather, the non dualist apprehension of the integration of subject and object which the Zen Buddhists know as prajna and the Vedic sages as rta or later in Indian history, Mahat. All arts, sciences, law, in fact all intellectual disciplines ultimately have intuition at their base. It's only a matter of whether we recogznie it and bring it to the forefront. "What good is a discipline that tries to tell us about the qualities of a nonexistent object?" Since Coyne cannot produce empirical evidence of his existence as consciousness isn't he by his own standards "a non-existent object?" Bernardo you are on a major roll. This is astonishing. I had a similar reaction to this post (in the context of the last two.) as I had when I first found out about Idealism in your Science & Non-Duality video. Veils dropped, connections were made. You can't read this with an open mind and not see Idealism as both the shatterer of paradigms and the bridge between science and religion (or at least spirituality). This is such a more subtle, rational, and in some ways obvious conception of reality, than what is entertained by New Atheists and materialists. It occurs to me that one centrally wonderful thing about it is that it re-legitimizes our humanity as a central component all intellectual endeavor. I was initially going to post some snarky comment about Coyne, but whats the point, he is just a flat-earther, oops! Before we start patting ourselves on the back and slurping champagne, we must be mindful that very few theologians would endorse Bernardo's metaphysics. Perhaps there is a bridge there, but theologians would have to be willing to lighten up their God, go God-lite so to speak. And, they'd have to let go their of God as available thru faith alone . . . that is, if God and all life are connected via a field of consciousness. Maybe . . . we are all whirlpools in the Big Whirlpool of God . . .
You could produce Jehovah on a flaming chariot right in front of Jerry Coyne, and all he would say is 'who do you think you are? Cecil B. de Mille?' I think he is beyond debate on these subjects, he is so utterly immersed in his worldview he is firewalled from anything contraty to it. Just came across another writer, Rod Hemsell (teaches at the University of Human Unity in Auroville) who gave a series of talks on the philosophy of evolution, pointing out that the 20th century saw two disparate streams of knowing coming together - on the one hand, the analytic knowledge of science studying the objective aspect, and the intuitive knowledge of philosophy and theology studying the subjective, and he saw this coming together in an integration of intuition and analysis in a new mode of knowledge. You may not want to call it science - but then, many people refuse to call psychology or sociology a science. Fine, if we want "Science" to be truncated like that - I'd prefer to expand it back to where it was for several thousand years, before the materialists took over. I have been stealthily working on a book about the truth-value of myths (including religious myths) for many months now. It occurred to me today that this whole discussion about theology could fit in it, and tie it nicely to my present book, Why Materialism Is Baloney. It could entail an extensive presentation of a rational, parsimonious theology, or something like this... What do you think? Is it worth a shot trying to expand on all this and add it to the book? I enjoyed 'Why Materialism....' very much, and will certainly buy your next one! I posted on another thread, bemoaning the sarcasm in your reply to Coyne, and have since come across some very rude and arrogant essays etc. by him so I now understand better the general tenor of these exchanges. I encourage you to continue to look for ways to engage materialists (though perhaps not him), because it is essential. Thanks! The worlds greatest source of fascinating links Sci Patel posted this on the forum but its perfect for this post. Excellent article. I was surprised at your statement regarding Depth psychology and your claim the use of the word "Unconscious" as being incorrect. In Mysterium Coniunctionis, Jung writes: "The Unus Mundus is founded on the assumption that the multiplicity of the empirical world exists on an underlying unity, and that not two or more fundamentally different worlds exist side by side ... Rather, everything divided and different belongs to one and the same world." For Jung - the unitary world can be detected via the synchronistic patterning of events in nature. These synchronistic events in nature are themselves the manifestations of the Jung's unconscious, which he often states was an autonomous objective reality. In a sense, Jung's quote you mention corroborates my claim: the Unus Mundus requires that consciousness and unconsciousness but, at bottom, the same phenomenon, not two fundamentally different things. Yet, they feel different at an empirical level. I believe the reason for that is simply that what we call 'consciousness' obfuscates other consciousness mental contents that aren't amplified by egoic self-reflection. The Unus Mundus is consciousness itself. Jung's usage of the term 'objective' to refer to the collective unconscious is tricky in today's terminology as well: he means mental dynamics that are entirely outside the control of egoic volition, not a world outside the psyche itself. "When you see past the fog of culture and language, you realize that Emanuel Swedenborg's theology of correspondence, Carl Jung's synchronicities, Olivier Costa de Beauregard's 'infrapsychisme,' David Bohm's implicate and explicate order, Lee Smolin's internal and external aspects, Goethe's transitory symbols, Corbin's metaphoric reality, and my own ideas in the essay below, ARE ALL SAYING THE SAME THING."